Squeaky Books: YA Story Scavenger Hunt! Part 2! 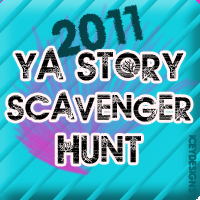 I get to be hunt stop for the 2011 YA Story Scavenger Hunt again! Today's question is from Bloodlines by Richelle Mead. Question #53: What kind of job is offered to Jill? 0 Response to "YA Story Scavenger Hunt! Part 2!"